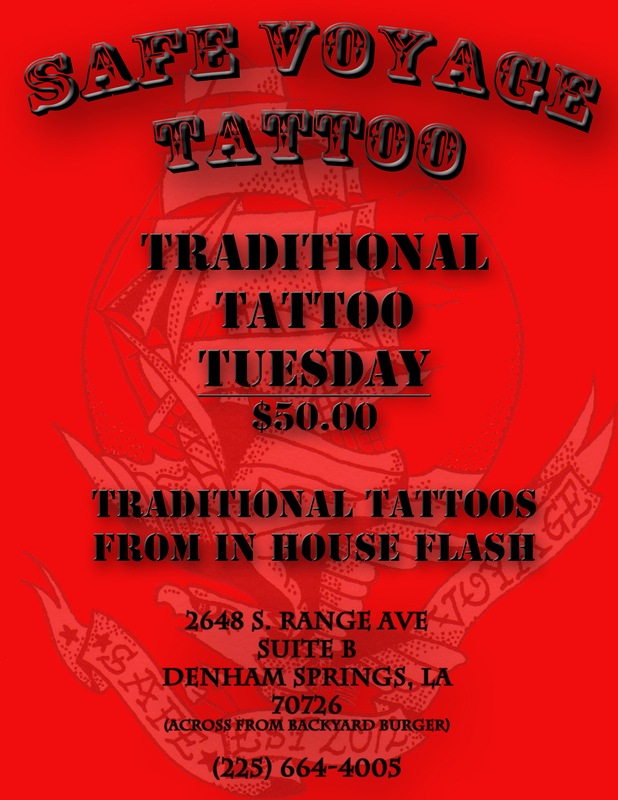 Stop on any given Tuesday for Traditional Tattoo Tuesday! $50 tattoos chosen from traditinional in-house flash! You pick and save on the tattoo you want ~ This offer is great for getting those filler pieces!